In the Middle Ages vegetables were impopular. They were unhealthy according to the dietetics of those days, and were held in low esteem. The poor ate greens out of economical need, but the rich and powerful preferably gorged themselve on meat and fowl (and fish if it was a fast day). In the following centuries there was little change. The newly discovered continents caused a growing botanical interest in exotic plants, and the growing and improvement of these became salonfähig, just as experimenting with varieties of apples, pears and other fruit. On still lives from the Golden Age you see heaps of summer fruit (sometimes combined with oysters) and artichokes, but common lettuce or garden herbs are rarely depicted. It is the same with seventeenth century paintings of meals: you see plates with fowl, pasties, lemons and oranges, maybe a small bowl with garden peas, but no lettuce or other leafy greens. 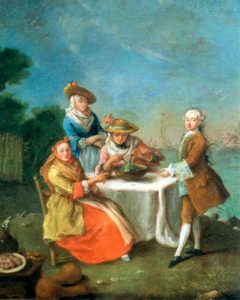 After a long search I found this painting from 1759 by Pietro Longhi, with a lady tossing a salad for a cosy outside meal on the Gulf of Venice. Two people of the company are pointing to the salad bowl. It is clearly the point of focus! There one day in the year that vegetables ruled in Catholic France. Here you can find some vegetarian recipes that were meant especially for that day. The recipe for this salad dates from the seventeenth century. In the Dutch cookbook De verstandige kock (The Sensible Cook) that appeared in 1667 together with De verstandige confituurmaker (The Sensible Preserver) as appendix to the third edition of a manual for gardening, De Verstandige Hovenier (The Sensible Gardener) by Pieter van Aengelen, is explained how the rich merchants could use the produce of their (kitchen) gardens. That is why the first recipes in the cookbook are for salad greens and vegetables, and greens are also used in recipes for meat (like Kalfs-schinckel met groen Kruydt, [Veal shank with green herbs] and poultry with cauliflower or sorrel). From 1668 onward the Cook and Preserver have been joined by a third volume, De Hollandtse Slacht-tydt (The Dutch Slaughtering Season), as attachment to Het vermakelyck Land-Leven. (The Pleasurable Country Life). This extensive work in three volumes is much more than a gardening course. It describes how to design gardens and country estates (the first volume, Den Nederlandtsen Hovenier, by Jan van der Groen), how to maintain them (Vol. 2: Den verstandigen Hovenier, by Petrus Nylandt), and what to do with the produce from the garden (this third volume contains the Cook, Preserver and Slaughtering Season, and is augmented with a guide for beekeeping, the medicinal use of plants and the composition of perfumes). The recipes in the cookbook have been rearranged, the recipes for vegetables have nearly doubled to seventeen. The Sensible Cook has also been published separately, until 1802 it saw seven editions (Source of the printing history: the introduction to the facsimile edition of the 1670-edition from 1993 by Joop Witteveen, see bibliography). Other recipes from The Sensible Cook on Coquinaria are Meatballs in head lettuce, Chicken with spring vegetables, Plum Pie. The salad below is decorated with edible flowers: rose, marigold (calendula), borage and common bugloss. In the modern kitchen you rarely see flowers being used as ingredients, except for cauliflower, broccoli and artichoke. Although, actually these are flowerbuds. Sometimes you can buy or order edible flowers, but it’s more fun to just walk into your garden and snip off whatever you want for the salad. Even if you buy flowers, choose what is in season. The beauty of flowers is their transience, respect that. You can also use flowers of chive, clover, rue, violet and Tropaeolum majus. Elsewhere on this site there is a recipe for flowers in jelly, especially for Valentine’s Day. But that is more looks than taste. For the original text I have used the second edition of the Sensible Cook from 1669. The differences with the first edition from 1667 are minor. The recipe is called ‘Om een goede salade te bereyden’, and there are two vegetables missing: Krul-salaetand Endivie. For the English translation I have used Peter Rose’s version (with a few small exceptions). Neemt Kroppen, Latouwe, Krul-salaet, Vette of Koorn-salaet, oock de uytspruytsels van de Paerde-bloemen, oft wilde Cichoraye, oock uytspruytsels van Cichoray-wortels, Endivie, of roode en witte kool, of Komkommers, ‘t geen men best heeft, ofte in de tijdt is, en een van alle wel schoon gemaeckt zijnde, wordt met goede Olie van Olijven, Azijn en Sout gegeten : over de sommige worden ghebruyckt toe-kruyden, yeder tot believen, doch de gemeene zijn Kars, Nepte, Porseleyn, Pimpernel, Raket, Dragon, Boteris; oock doet men daer wel over de bloemen van Buglos, Bernagie, Roosen en Goudtsbloemen : Men eet dese Sala oock wel met gesmolten Boter en Azijn te samen gewelt, in plaats van Olie en Azijn, tot yeders believen. Take head lettuce, leaf lettuce, curly lettuce, lamb’s lettuce, also the shoots of the dandelions or wild cichory, also the shoots of witloof, endive, or red and white cabbage or cucumbers, whatever one has on hand that is best or that is in season and one of these well cleaned is eaten with good olive oil, vinegar and salt. On some [vegetables] additional herbs are used according to everyone’s desire, but the usual are cress, catnip, purslane, burnet, rocket, tarragon, Jerusalem oak goosefoot. One may also add the flowers of bugloss, borage, rose and marigold. This salad is also eaten with melted butter and vinegar gently heated together instead of oil and vinegar, according to everyone’s desire. This recipe is a guideline. It provides a list of vegetables that can be served as ‘raw salad’, but not all at once. You just pick one of these (“één van alle”, one of all). The herbs also are not meant to be used with every salad (“over de sommigen worden ghebruyckt toe-kruyden”, on some [salads] herbs are used). Follow your own preferences and whatever is in season, that too is in the recipe. The red and white cabbage is for autumn, young lettuce for spring, cucumber for the summer. The picture of the salad is made in June, so, an early summer salad. 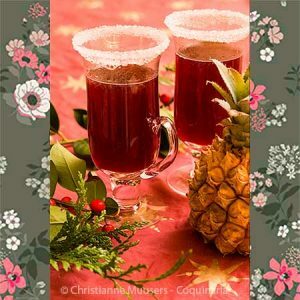 People with a garden have the advantage in this recipe, because catnip, borage, burnet or bugloss do not belong to the standard collection of greengrocers. Note that purslane and rocket were considered herbs, whilst nowadays we use them as [salad] vegetables. 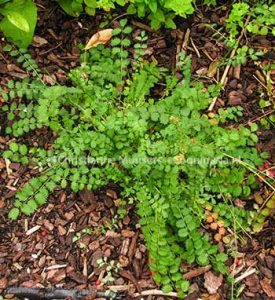 The herb boteris was a problem, that plant name is not used in modern Dutch. In the Herbarius Kruydt- en Bloemhof (1663) van Pieter van Aengelen botris is identified as ‘druyf-kruydt’, in English Jerusalem oak goosefoot. The vinaigrette has a higher degree of acidity than we would prefer today (ratio oil or butter/vinegar 2:1 instead of 3:1), the medieval preference for sour dishes was not entirely gone. As first course or side dish for 4 persons; prepatation in advance 10 minutes; prepatation 10 minutes. Clean all vegetables and herbs. Wash them in cold water, repeat this if a lot of soil remains in the water. Chck for small bugs and spiders. Drain the greens or use a salad spinner. tear leafs smaller if they are too large. 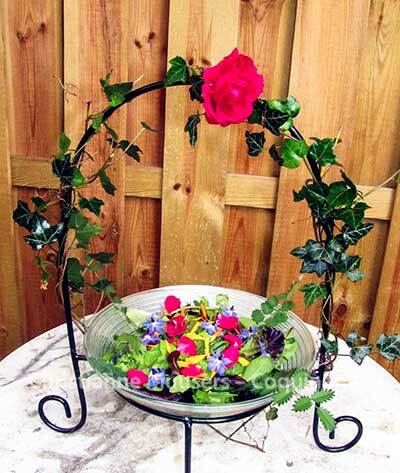 Choose a decorative dish to arrange first the lettuce and other greens, then hrebs, and flower petals on top. When using oil and vinegar, just put these on the table with the salt, and let your guests bring their own salad up to taste. In the eighteenth and nineteenth century it was customary that the salad was dressed at the dinner table by the hostess, just like the meat was carved by the host (see picture at the top of this page). With butter and vinegar, the dressing must be prepared just before serving. The butter must be melted but not coloured, and the vinegar is added in drops whilst whisking the butter. Salt is added last. At the start of a meal. No doubt this salad would initiate a conversation about gardening and the country estate of the host, and cause admiration for the elegance and dexterity of the hostess when she tosses the salad. In a modern menu the salad can also be served as a side dish. Also known as ‘starflower’, as the flowers are like little blue stars. In Dutch it is called ‘cucumber herb’, because the smell and taste of a leaf is decidedly like that of cucumbers. Young, tender leafs can be used in salads, finley cut because of the many trichomes. The flowers can be used to decorate dishes with. 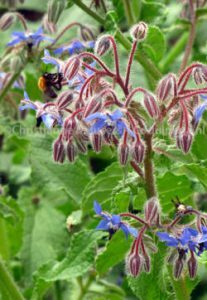 You only need to seed this annual once, it will spread so well that next year you’ll weed rather than seed borage. Some research indicates that consumption of borage influences the production of adrenaline. This annual herb belogs to the family Chenopodium (Chenopodium botrys), English name Jerusalem Oak Goosefoot. You might use Good King Henry (Chenopodium bonus-henricus) instead, a perennial that was eaten a lot in the Middle Ages as spinach. The stalks can be treated like asparagus. By the way, the Henry this herb was named after was the Henry IV (1553-1610), the first Bourbon king of France. So the medieval nbame must have been something different. When spinach became more popular, Good King Henry departed from our kitchens. Related to borage, but a perennial. Beautiful blue flowers that attract lots of bees. A perennial, indigenous to Europe. Decorative leafs and green (with a little red) flower heads. The leaf is used as herb. Cut away the flowering stalks, unless you want burnet to multiply. I know from experience that goed very easily. Young leafs are used in salads and refreshing drinks. The flowers can be used in salads or as garnish. Has a mint-like odour. Cats can react dramatically to it. As far as I can see, my cats leave the catnip in my garden alone, but dried catnip in playmice brings them in rapture. It’s not an evil drug, they don’t get hooked or anything. This is the first time I’ve seen catnip used in a culinary recipe. A mediterranean perennial with striking blue flowers that survives winters in the Netherlands. 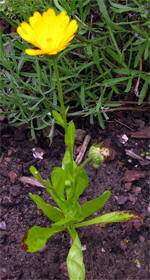 Cultivars are endive, Belgian endive or witloof (Cichorium intybus var. foliosum) and radicchio. 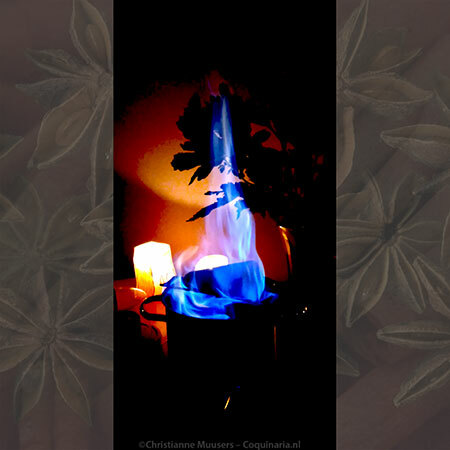 The roasted root of Cichorium intybus var. sativum is used for making a coffee surrogate. My father still adds a coffeespoonful to every pot of coffee he makes. He got used to the taste during the Second World War. Look, calendula! That is the cream to put on burns and grazes! And indeed, calendula is an ingredient in all kinds of medical and cosmetical ointments for the skin. Dishonest salesmen sold the bright yellow or orange petals as true saffron. Marigolds are annual herbs, but if you leave it be (and don’t pick all the flowers), it will spread easily. De verstandige kok (The Sensible cook; an edition in modern Dutch and with introduction by) Marleen Willebrands. Uitgeverij Pereboom, Bussum, 2006. The Sensible Cook: Dutch Foodways in the Old and the New World , English translation of De verstandige kok and introduction by Peter Rose (Syracuse University Press, 1998). De verstandige kock, of sorghvuldige huys-houdster. (‘The Sensible Cook or Careful House-keeper’, Facsimile edition with an introduction by Joop Witteveen. De KAN, Amsterdam, 1993. Sarah Garland, The Complete Book of Herbs and Spices , Francis Lincoln Publ. 1979, 2006. This salad recipe from the well known cookbook The Sensible Cook shows the delight rich merchants from Amsterdam could have from their gardens.